Rectangle Magnets make a beautiful product to give to your customers. 3.5x4 magnets are printed in full-color and are a sturdy 25 mil. thick. These popular sizes are great for calendars and schedules. The 3.5x4 inch size makes a big impression that will last. Rectangle Magnets make a beautiful product to give to your customers. 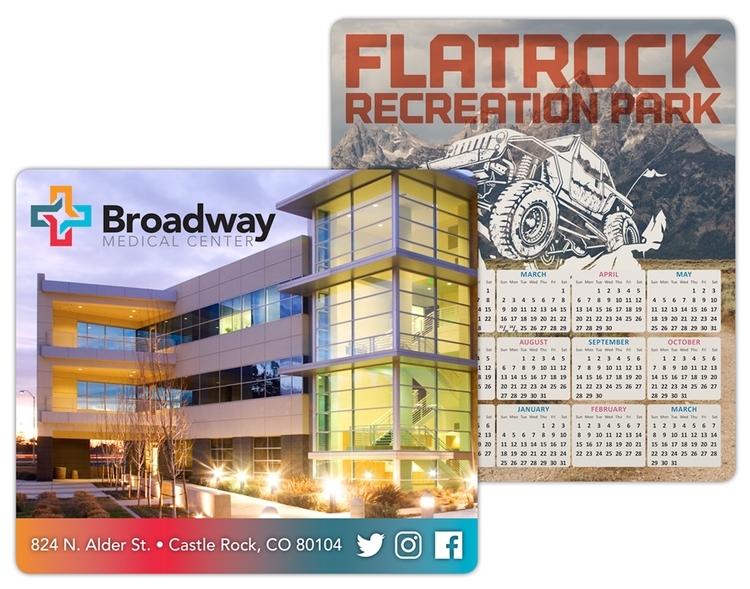 3.5x4 magnets are printed in full-color and are a sturdy 20 mil. thick. These popular sizes are great for calendars and schedules. The 3.5x4 inch size makes a big impression that will last. 3.5 in. x 4 in. Price includes printing in full-color (four color process) on one side. Pantone® color match not available in full-color. Magnets are not intended for outdoor use. Write-on/Wipe-off surface not available.